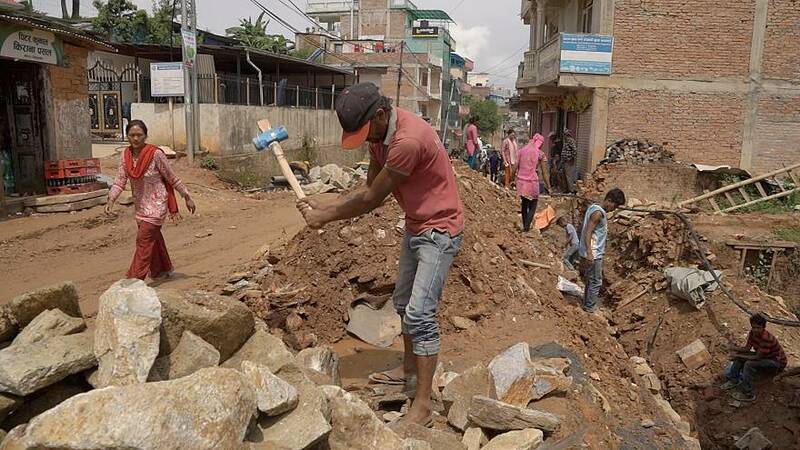 Reconstruction is speeding up in Nepal three years after the earthquakes of April and May 2015 that killed around 9,000 people and left at least 3.5 million others homeless. Only 20% of the houses eligible to be rebuilt with government grants have been completed, but work is now underway on more than 60% of them. In Sindhupalchowk, which suffered major destruction, virtually every street is now a busy work site. The Government is backing owner-based reconstruction. Every eligible owner gets 2,600 euros (3,000 dollars) in three instalments, released only when the work done meets earthquake resistance requirements at each stage of rebuilding. Meanwhile, people are still living in temporary homes. Some 80% of Nepalese people who lost their homes after the earthquake have been living in temporary shelters. They are made from corrugated iron, which makes them extremely cold during winter and excessively hot in the summertime. Euronews reporter Monica Pinna visited the shelter where Nany Maya lives. Its roughly 15 square metres space serves as her kitchen, bedroom and living room. Nany has had to build the foundations of her future new home with the first grant instalment and some additional financial help from relatives. Work is now on hold while she waits for the second tranche and more family help. The situation becomes more complex when families have to take out loans, according to Renaud Meyer, United Nations Development Programme's Country Director for Nepal. The UN agency is in charge of a EU financed project to rebuild better homes cheaper.